The recession has hit many families in the UK hard, leaving many of us struggling to pay the bills on time or going without the little luxuries in life we enjoy. If you are struggling to keep on top of your finances, there are ways in which you can earn some extra cash. Below are some simple ways you can earn a few quid and improve your finances in the midst of the recession. If you are a bookworm and have lots of used books lying around, you could make cash by selling them online. There are many online marketplaces for books. Always check your books carefully before selling as, if you have any first editions of popular books, you could be sitting on a small fortune. We all have old phones that don’t use anymore. 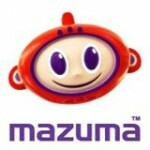 So, why not selling your old phones to a phone recycling company such as Mazuma? It is a great way to make cash out of your old phone. Recycling your phone with us is quick and hassle free so why not requesting a quote from us today? If your phone is damaged, don’t worry we also recycle broken phones and water-damaged mobiles! Car boot sales are still popular in the UK. It is likely you will be able to find one close to you at any time. Car boots are a great way to get rid of any unwanted items you have accumulated over the years. If you have lots to sell, you could make a tidy sum this way. Sell your junk on Ebay. One man’s trash is another man’s treasure. This is especially true of vintage and collectable items like books, toys, figurines, and art. Why not see what random stuff you have in your attic or closet that you really don’t need and start listing today? A lot of people sell handmade items at craft fairs on the weekends to make a little extra cash. Know how to knit? Why not do up some scarf and hat sets for the winter season? Or maybe you like to sew? You could make Christmas ornaments or toys. After all, you have what, 500 friends? Why not see how many of them will take some of your old junk off you? You’d be amazed how many people will grapple for the opportunity to buy something for cheap. Add photos and put the asking price in the caption. We don’t know how most of the above ideas will turn out for you, but we do know that you won’t regret recycling your phone with us! Register and don’t wait any longer to sell your phone with us! The sooner you sell it, the more money you will get!